NO. 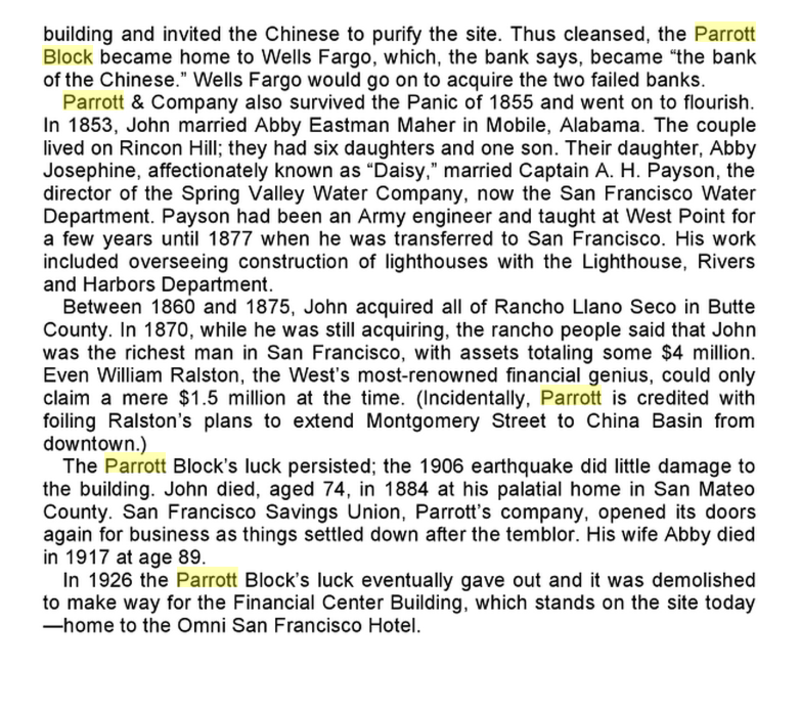 89 SITE OF PARROTT GRANITE BLOCK - The Parrott Block was erected in 1852 by John Parrott, an importer and banker. 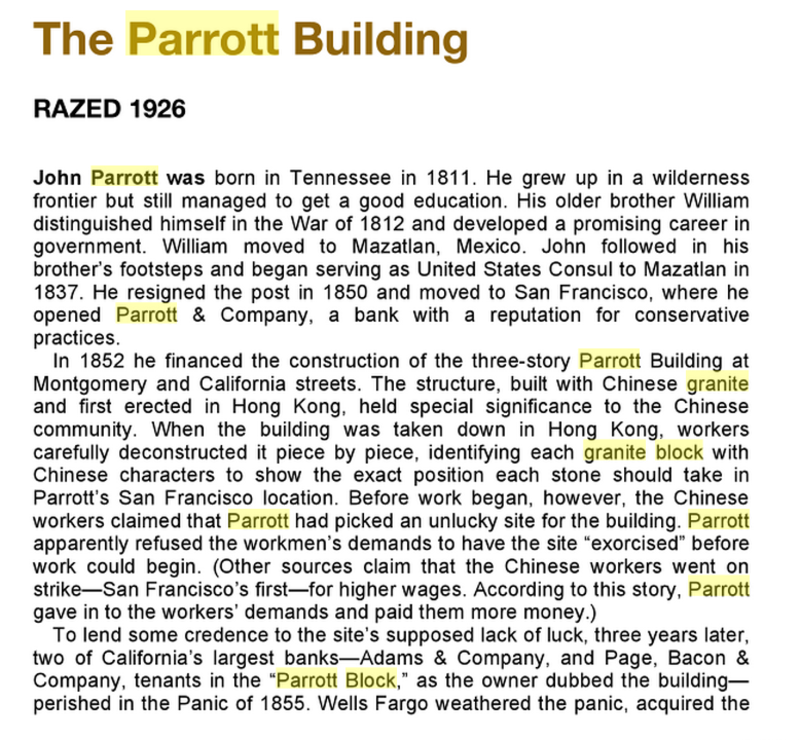 The three-story building, built by Chinese labor, was of granite blocks brought from China. 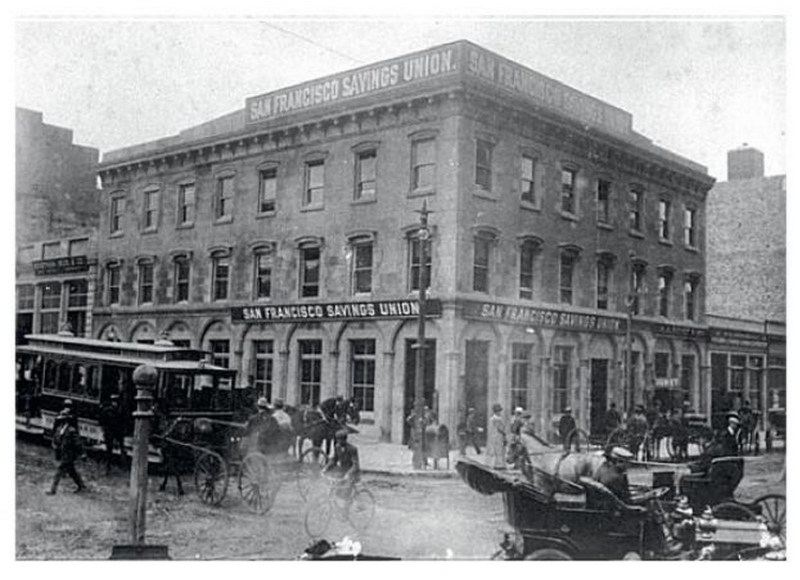 The 1906 earthquake and fire did little damage to the building, which soon thereafter reopened for business. In 1926 it was demolished to make way for the Financial Center Building. The building once stood in China. It was disassembled block by block. Each piece of granite was numbered so the building could be re assembled in San Francisco. 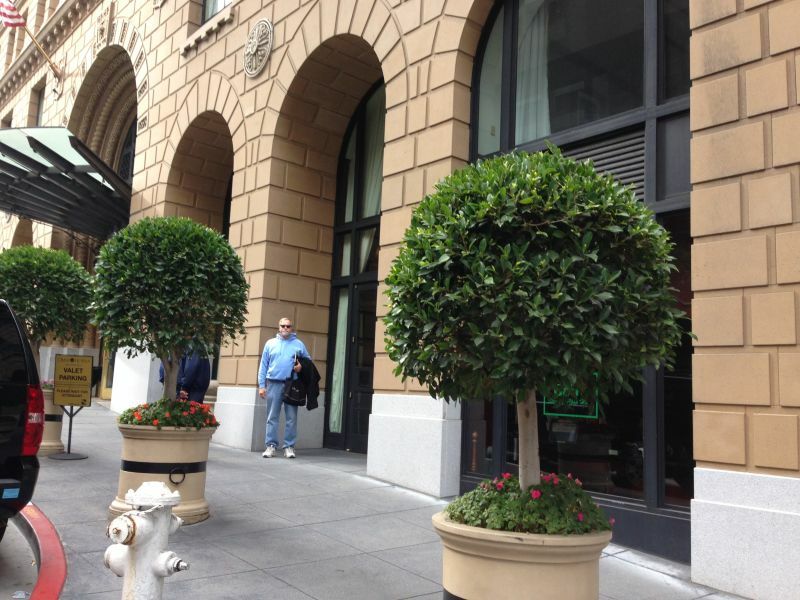 The Omni Hotel now stands on this site.